Inspection Software helps you take control of your maintenance methods and records. Capture all of your inspections, audits, and forms with a mobile App that automatically builds a powerful database that you control. 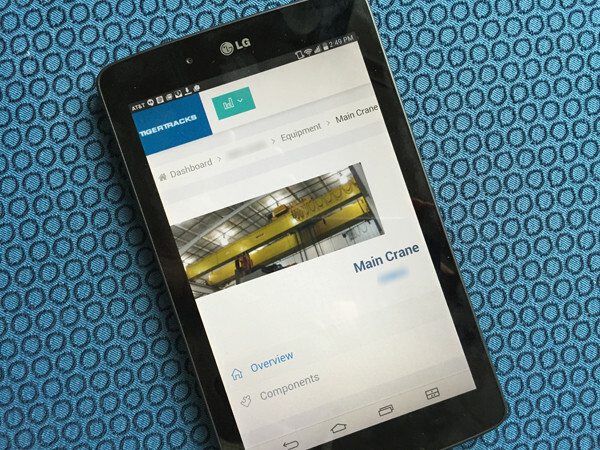 Build your own forms, create workflows and organize your team to create a customized program that identifies and captures data on your most critical lifting operations. Keep OSHA compliance records up-to-date and organized for easy identification and retrieval. Plan for downtime in advance and see detailed individual or comparative history of all of your equipment. Great for multiple site operations and companies that have a large population of overhead cranes. Share records, plan and implement maintenance management across your entire network of equipment and facilities.